Mark became an active angel investor and entrepreneur in 2000. He was an investor and board member at Mint, a consumer online financial management company that was sold to Intuit in 2009. He was also an investor and board member in Nolo.com, a self-help law service that was sold to Internet Brands in 2011. Goines co-founded and became chief marketing officer at PassMark Security, which was sold to RSA in 2006. He has also invested in WePay (payments), BillFloat (lending) and Cozi (family organization, sold to Time Inc. in 2014) and dozens of other early stage companies. 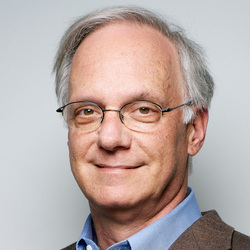 Previously, Mark helped build and ran Intuit’s Consumer Tax business (TurboTax), served as Senior Vice President of Intuit’s International Division, and then served as General Manager of Intuit’s Consumer Division and helped generate over $200 million in annual revenues, serving over 20 million customers across a broad range of software and e-commerce services by 2000. Prior to Intuit, Mark held executive positions at Wells Fargo and Charles Schwab, where he developed and marketed early-stage banking, software and electronic services that formed the foundation of today’s online trading industry. Mark Currently serves as a trustee of the Los Altos School Board and an advisor to Khan Academy.